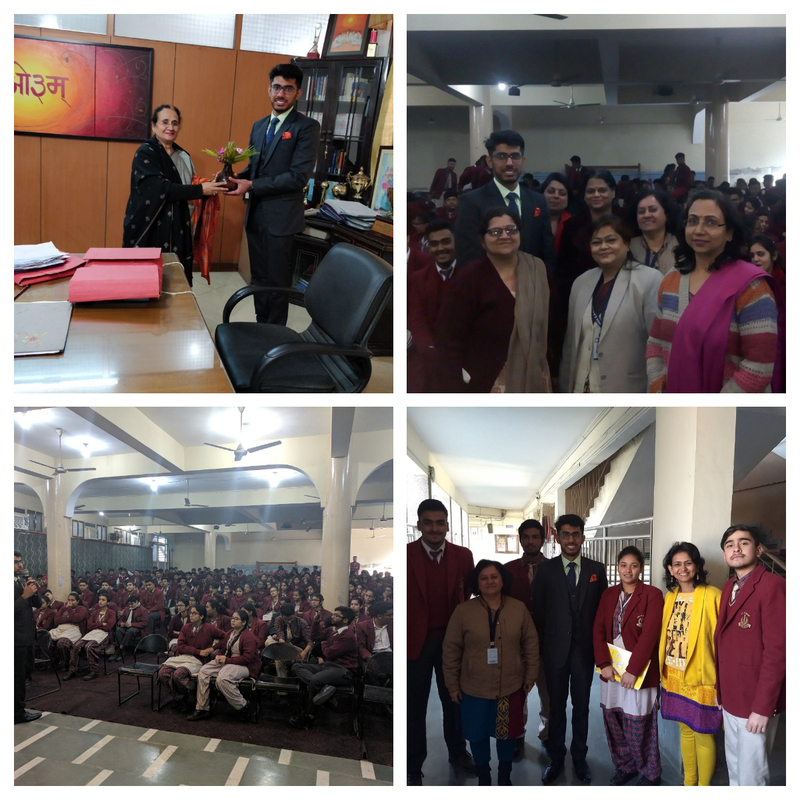 The students of class XI and XII were blessed with a golden opportunity to be mentored about their career choices by alumnus Mr. Pankaj Manchanda. The students enjoyed his presence as he is a versatile person, experienced in various fields. He commenced with an activity wherein the students were to mention all the professional fields they are aware of. They were advised by Mr. Pankaj to keep their options open for career and search for various options other than the original fields. It was an interactive session wherein the students were encouraged to come out of their self made cages and explore the opportunities themselves. He advised him to be positive and optimistic with their career options and stay hopeful throughout. It was a wonderful session and the students appreciated it. He concluded by showing them inspirational videos. 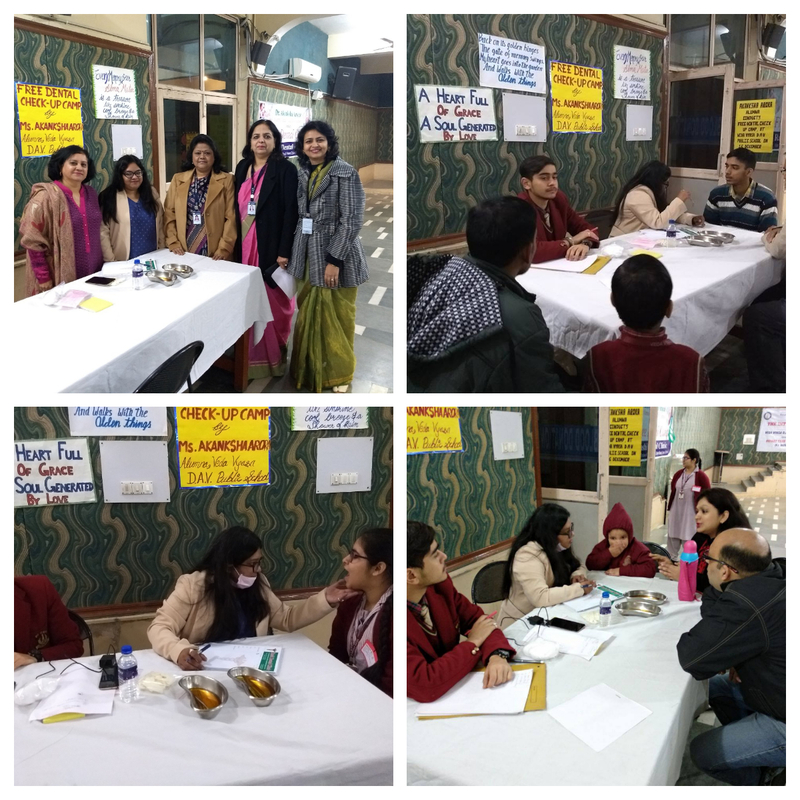 Veda Vyasa DAV Public School, organised a free Dental Checkup Camp in association with our school alumna Dr. Aakanksha Arora to sensitize students as well as the general public about dental care. Feeling nostalgic, Dr. Aakanksha said, “ We gain so much more than just an education from our school and college, so it is imperative that we try to give as much back.” She feels Life is not about accumulation, it is about contribution! 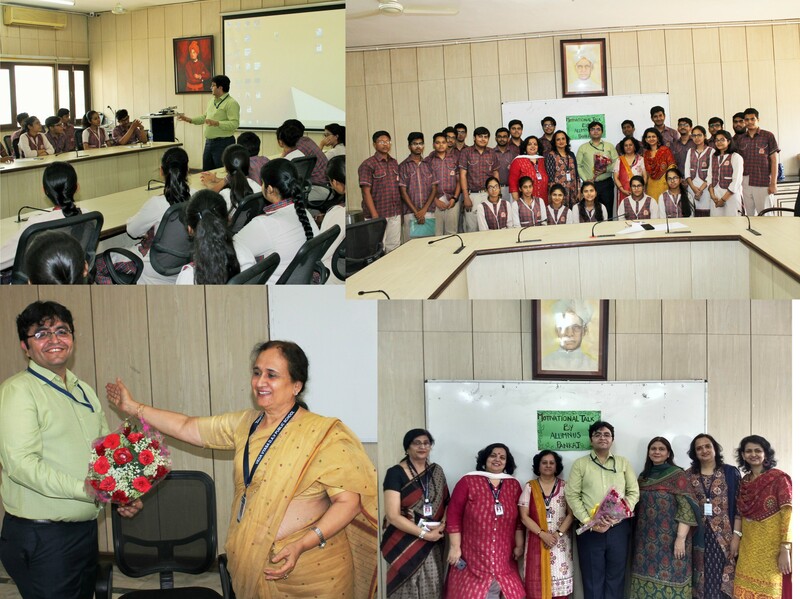 Sameer Kochhar, Senior Executive Logistics (ZOMATO) and a proud alumnus of VVDAV Public School was invited to share his knowledge and words of wisdom with the Marketing students of class XII. He was welcomed with enthusiasm and the students were curious to talk to someone who had excelled in the field of Marketing. A Power Point was shown to the students through which he explained what marketing is, its important attributes and its importance. The students took an active part in the discussion and their queries were effectively answered. The students were guided by Mr.Sameer Kochhar on the fields they can excel in if they have interest in Marketing. It was an hour full of productive discussions, sharing of knowledge, novel ideas and enthusiasm. The event was organised in collaboration with the Interact club and Community Outreach Group of our school . The event 'Rally for Rivers' enlightened the students about the depletion of our life-giving gifts from nature i.e.Rivers , its causes and the deadly consequences of the same. With the help of videos, talks and discussions, the crisis and its possible solutions were put forward to the students. The interactors moved around the hall with placards on 'Save Rivers' 'Rally for Rivers' sensitizing the gathering on the depletion of our rivers. The event was organized mainly to create awareness that our rivers are dying and if we don't act now the legacy we hand over to the next generation will be one of conflict and deprivation. The students were asked to vote by giving a missed call on 8000980009 to save the rivers and encourage their acquaintances to do the same. It was a great initiative to encourage our generation to work for the upcoming cause. Concluding the event, all the students stood together and enchanted their pledge - We pledge to rally for river .This marked the closing of the event and the beginning of an effort. Very few people have a longing to be significant,to make a contribution to be a part of a noble and purposeful cause! 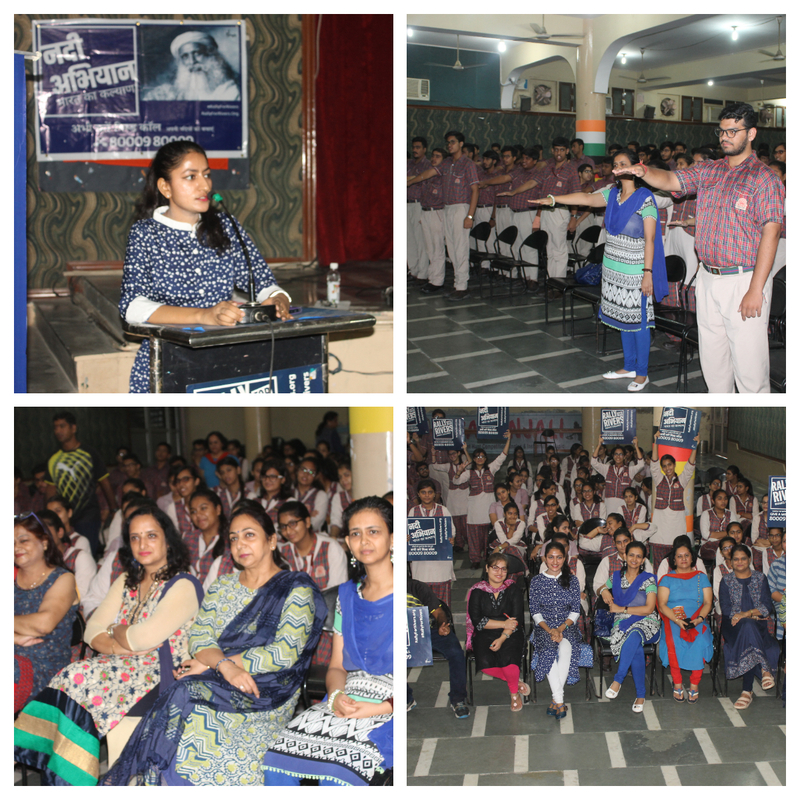 Our Alumna Palak Arora paid a tribute to her alma mater by organizing A Personality Development Camp under the guidance of Ms. Alka Obheroi and Ms. Babita Mahajan in the school premises. It was a roaring success and saw a large crowd, enthusiastic to learn of their future and transform their lives through color and diet therapy. 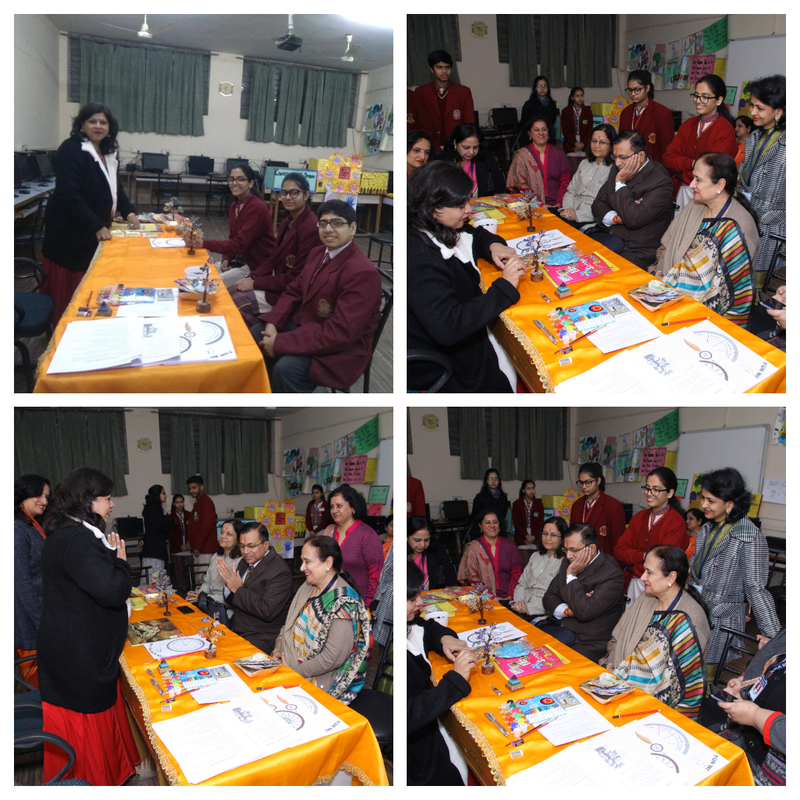 Our expert Ms. Rima Arora had fun activities planned for the day.She predicted people's personalities and gave them advice for further improvement. A private environment was provided to the guests and volunteers and at the end of the activities, they were provided with a 'quotation of the day' to end the meet on a positive note. 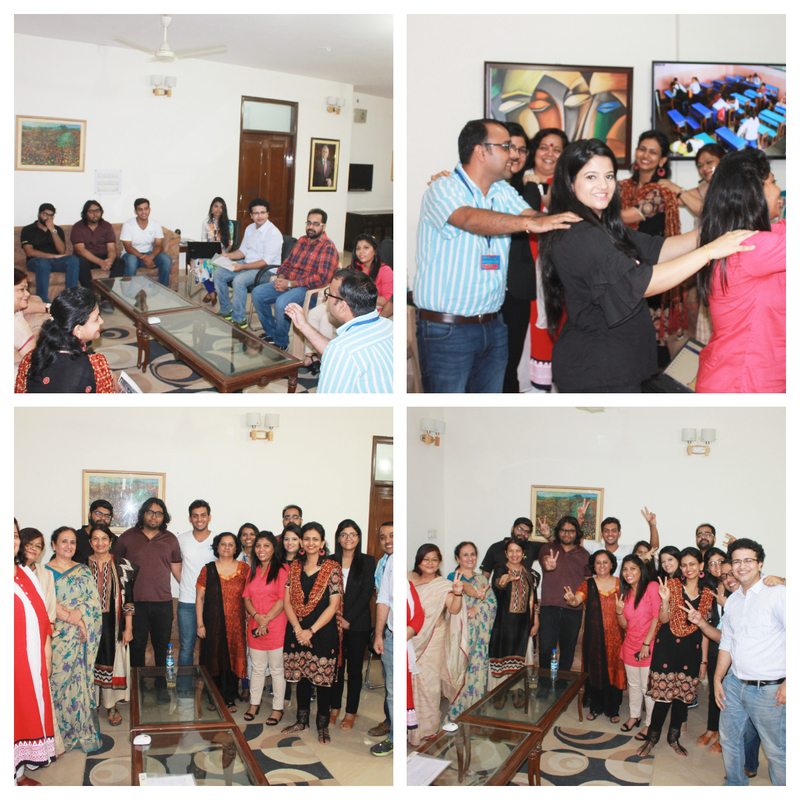 The interactors,on duty, maintained a feedback record which reflected the mirth and joy of the gathering! Vipul Bawa, IFS and an alumnus of V.V.D.A.V. Public School visited the school on 16th January 2018 to interact with the students. This interaction was under the Students and MEA Engagement Programme (SAMEEP), which is an initiative of the Ministry of External Affairs (MEA) aimed at taking Indian foreign policy and its global engagements to students across the country. Through this initiative, MEA has asked all its officers on leave to travel to their alma mater, engage with the students and make them aware of the work that the ministry is engaged in, so as to give them a fair idea of how India engages with the world, what are its foreign policy priorities and how diplomacy is actually conducted. Vipul, with the use of a powerpoint presentation, interacted with over 250 students. The students participated enthusiastically in the interaction with their comments and questions. Vipul called on the Principal, Ms Chitra Nakra as well, who conveyed her best wishes to him in his current and future endeavours. He is posted as Third Secretary in the Embassy of India, Berlin. Lt. Col. Bhavishya Kashyap an alumnus of 1998 batch of VVDAV Public School ,Vikas Puri was awarded with the Prime Minister's Certificate of Excellence by the Hon'ble Shri Narendra Modi on Army Day 2017 for inventing the first ever indigenized Electronic Time Fuze for Artillery shells. During school days he was the discipline minister in the school council team and passed his AISSCE exam with distinction in all the subjects. 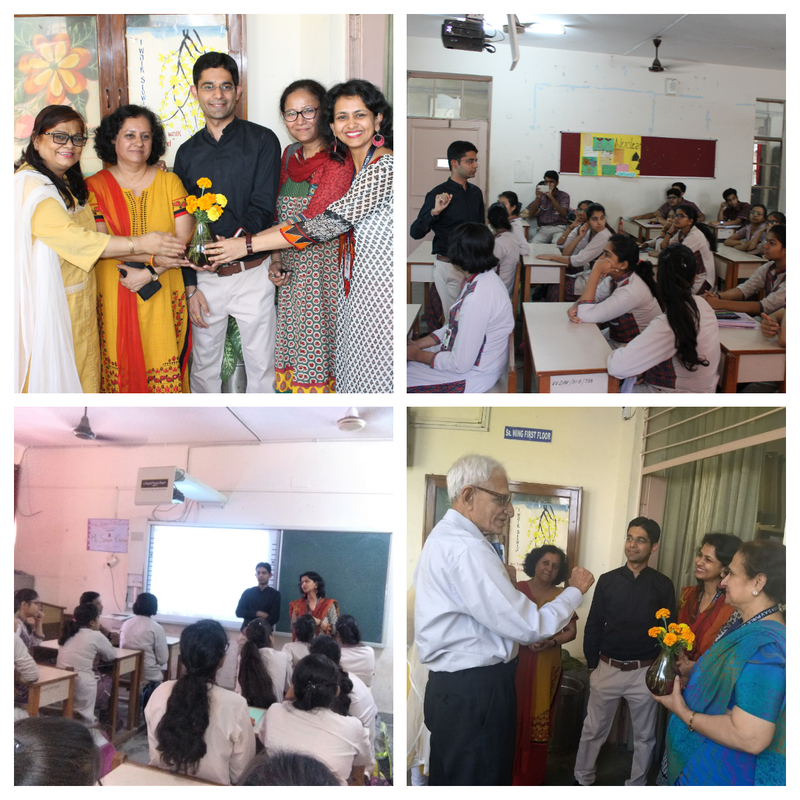 He paid a visit to the school and had an informative interactive session with senior classes. During the discussion he brought out the excerpts from his varied experiences of Army life including his training days, his tenure with National Security Guards and his M.Tech at IIT Bombay. With his wide experience and motivation he guided the students to prioritize their goals and work relentlessly towards achieving them. The interaction included a short presentation through which while narrating the struggles and hardship he went through, he introduced the real facet of life to the students. He explained that challenges are a part of life and setting up of short term goals helps in overcoming them. He emphasized on the importance of punctuality and alertness and how the lack of these virtues can otherwise lead to missing crucial opportunities. His aura was so that all the students were deeply intrigued by his words. He recounted his school experiences and brought out as to how his teachers encouraged him and filled him with confidence for life ahead. He emphasized on paying attention to virtues such as kindness towards all, respect for elders, optimism and to gauge silver-lining in the challenges / failures.